It’s 6.30am and after a long holiday break, your alarm clock is insistently telling you it’s time to get out of bed. For many people – me included – the automatic reaction is to hit the snooze button, often more than once. But while it might feel like those extra minutes leave you more rested, morning snoozes can leave you feeling groggier and less alert. And late. Sleep is regulated by two mechanisms: a homeostatic process based on prior sleep and wake, and a circadian process commonly referred to as our 24-hour body clock. These processes work together to influence when we go to sleep and get up, and sleep structure during the night. Throughout the night, sleep cycles between deep sleep and light sleep, with each cycle lasting approximately 90 to 100 minutes. Deep sleep – which is difficult to wake from – dominates in the early parts of sleep, while light sleep – which is easier to be woken from – is more common closer to natural waking. Each time we fall asleep, sleep starts at the beginning of the cycle. Shortly before waking, our sleep becomes lighter, our core body temperature rises and levels of hormones such as cortisol increase. If we were to sleep naturally without that pesky alarm clock, these factors would allow our bodies to gradually prepare for waking. When we use an alarm clock, we may be woken during the middle of a sleep cycle when our bodies have not had time to fully prepare us for waking. This may lead to an increase in sleep inertia, the groggy feeling you have immediately upon waking, and often the inevitable snoozing cycle. So when you hit snooze and fall back asleep, your sleep cycle starts from the beginning. Except this time when your alarm goes off, if you’re in a deeper stage of sleep, it’s a lot harder to wake up. The end result is that the last proportion of your sleep becomes highly fragmented. This means you miss out on the recovery benefits of consolidated sleep, and your ability to function effectively during the rest of the day may be impaired. Why do some people love to snooze? While the ability to resist hitting the snooze button may just come down to self-control, there are two biological reasons why some of us are more inclined to do so. The first relates to diurnal preferences. People who are morning birds generally find it easier to wake up unaided while us night owls find it a lot harder. The circadian rhythm of early birds allows them to fall asleep earlier and therefore they’re more likely to complete their natural sleep cycle by the time the alarm goes off in the morning. Night owls prefer to stay awake for longer at night and sleep later into the morning, making it difficult to get up in the morning and often resulting in a truncated sleep. 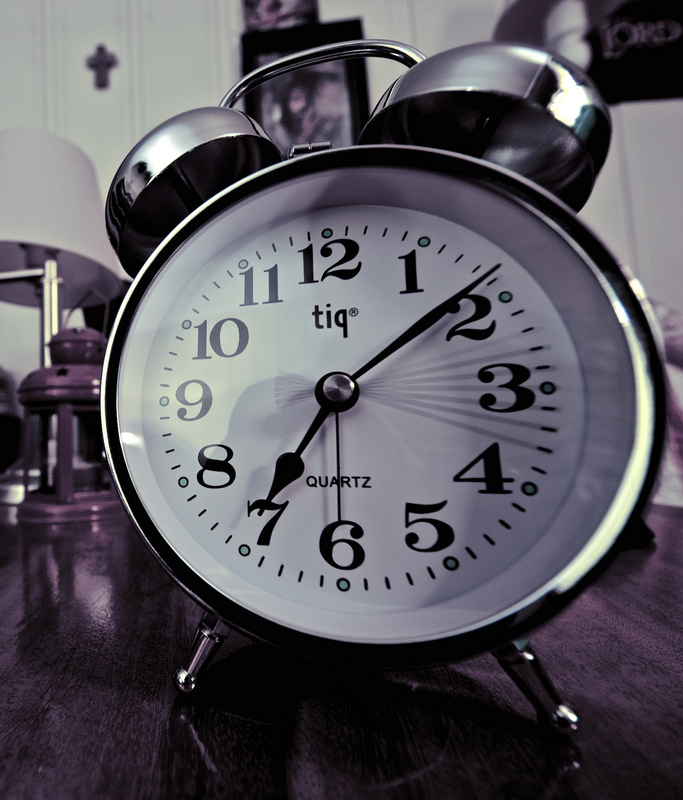 The desire to hit snooze may also relate to whether you’re suffering from sleep loss. When you’re sleep-deprived, you require longer, deeper sleep periods. There is a greater chance of being woken during a deeper stage of sleep, and therefore want to snooze, when you’re sleep-deprived. The best way to keep your hand off the snooze button is to have a regular sleep schedule every day of the week. Set a bedtime and wake time and keep to it, even on weekends. After a while your body will naturally adapt to this schedule and it will be easier to wake up in the morning. If your boss or job allows it, flexible working hours can allow you to sleep according to your natural circadian preference. For many people this is not possible, and so you may need to shift your body clock. The easiest way to do this is to get natural sunlight during the daytime and to reduce light exposure at night. Other lifestyle factors can also help you sleep better and wake more refreshed. Regular exercise and a healthy diet along with natural morning light exposure can improve sleep. Minimising your alcohol and caffeine intake can also help consolidate your sleep period and make waking easier. So if your New Year’s resolution is to adopt a healthier lifestyle, you might see your sleep patterns improve too. Sometimes it is hard to imagine, but we need to do everything depending on us to sleep tight and, accordingly, to feel better.